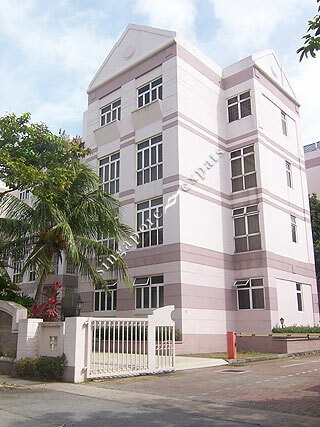 GOLDLEAF MANSIONS is located at 100 LORONG M TELOK KURAU in district 15 (Katong, Siglap, Tanjong Rhu) of Singapore. GOLDLEAF MANSIONS is a Freehold Condo development consisting of 32 units. GOLDLEAF MANSIONS is completed / TOP in 1993 (estimated), developed by WAN-LI DEVELOPMENT PTE LTD.
Educational institutions like GLOBAL INDIAN INTERNATIONAL SCHOOL (EAST COAST), ROSEMOUNT KINDERGARTEN, ROSEMOUNT INTERNATIONAL SCHOOL, NGEE ANN PRIMARY SCHOOL, CHIJ (KATONG) PRIMARY and ST. STEPHEN'S SCHOOL are near to GOLDLEAF MANSIONS. GOLDLEAF MANSIONS is accessible via nearby KEMBANGAN, EUNOS and BEDOK MRT Stations. We have so much enjoyed living here whilst raising our two kids. Location couldn't be better, right alongside Siglap Park Connector and within easy walking distance of East Coast Park. Yes, it is a little bit older than a lot of other apartments you might see for sale/rent, but all that means is you get a lot more space for your money. Also, the neighbours are friendly and the maintenance charges are nice and low. Fabulous accommodation for active families, located immediately beside Siglap linear park for cycle rides and just a few minutes walk from not one but two excellent parks. Good schools nearby, bus less than 5 minutes, Kembangan MRT 10 minutes walk. Nice place for pet owners. Enjoy!